Stumptown Mattress is a family-owned mattress company located in the Pacific Northwest that delivers locally-made, eco-friendly mattresses right to your door. Challenge: Stumptown Mattress had a brick % mortar presence and wanted to increase their online sales as a steady stream of revenue for the company. Goal: Anvil was tasked with growing sales, and improving brand awareness and recognition. Strategy: Anvil first identified relative search trends and audited competitor activities to fully understand the landscape for paid media. Anvil then conducted an audit on historical media performance to build upon past learning to drill down on the most engaging audience for Stumptown. Anvil conducted several tests to identify specific messaging that resonated with Stumptown’s core audience. 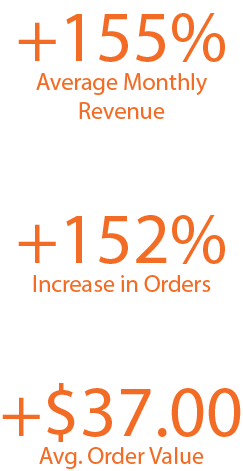 Results: Anvil scaled the campaigns to spend at a higher level, and optimization efforts resulted in a ROAS of 770%. 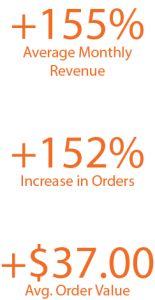 Overall, Anvil increased the number of orders (+152%) as well as the average order value (+$37.00) leading to an increase in average monthly revenue (+155%).